Note: You must be a valid #badge-awarder in order to award a particular badge, otherwise you will not see any of the needed functionality for that badge. It's important to understand that, in Badge List, there are two steps involved in "awarding" a badge to a user. First you must invite the user to the badge or let them join it on their own--this results in the creation of a badge #progress-log for the user. Next the log must be "endorsed", which happens after at least one endorsement-containing feedback is posted to their log (refer to #request-feedback for more info). Only #group-admins and potentially #badge-experts have the ability to award badges, depending on the badge's settings. What's the point of endorsement? Each endorsement is shown at the top of the #progress-log, adding social context to later viewers of the badge. If a #badge-awarder ever decides that one of their endorsement was incorrect or is no longer current, they are able to retract it, potentially retracting the badge. The ability to retract badges is an important part of managing a badge community. The fastest way to award a badge is to issue it directly to a new expert using the "Award the badge" button in the header of the "Badge Experts" section of the badge page. The downside of this awarding technique is that you end up awarding the badge before the user submits any evidence. For manually-awarded badges, this is actually the only option, but for evidence-based badges this is usually not desired (refer to #badge-requirements for more info on two types of badges). 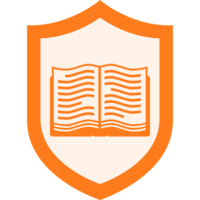 The better technique for evidence-based badges is outlined in the next section. The best way to award an evidence-based badge is to invite a user to join the badge as a learner (refer to #send-invitations) and then let them submit evidence for each requirement. After they have submitted all of the required evidence a #feedback-request will be initiated and all #badge-awarders will receive an email notification if they have that setting turned on. After one of the awarders submits an endorsement, the badge will be awarded. With our new bulk awarding features admins can offer feedback to up to 50 different learners at once. Admins can select all the learners they want to offer feedback to by click the box in the upper right corner of their learning evidence card. Admins can also choose "select all" to offer feedback to every learner who has requested feedback simultaneously. 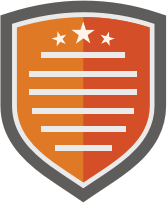 After awarding the badge the new badge expert will receive an email notification. If they do not yet have a Badge List account they will be prompted to create one. After you have awarded the badge other badge awarders are able to add additional validations. This is a great extra step which can increase the value of the badge for the new expert. Once a user claims their badge they are able to share it on social networks, blogs or export it to their #Mozilla-Backpack. Refer to #share-your-badge for more details.